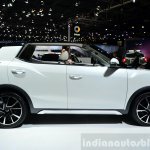 Preview the X100 compact crossover. 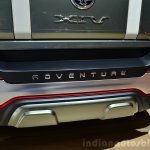 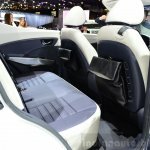 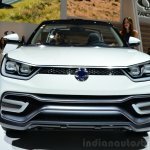 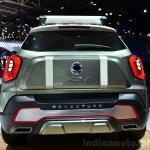 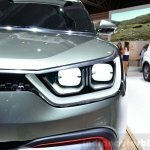 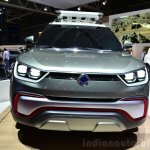 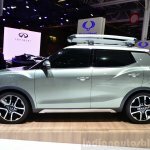 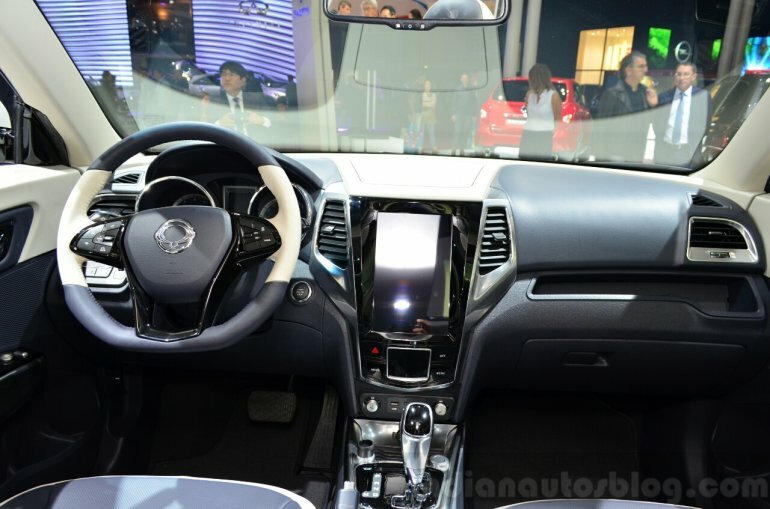 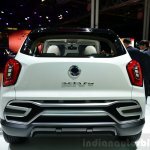 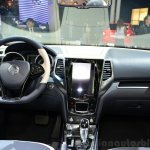 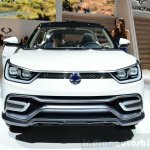 The Ssangyong XIV-Air and XIV-Adventure concepts, which herald the upcoming X100 compact crossover SUV, are in attendance at the 2014 Paris Motor Show. 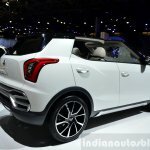 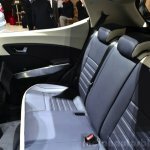 The duo are essentially accessorized versions of the XIV-2 concept which debuted at the Geneva Motor Show in 2012, although the latest iterations are very close to production. 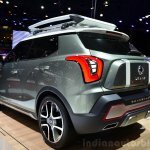 The twins sport common sheet metal design, head- and tail-lights but have a few exclusive design elements to justify their respective names. 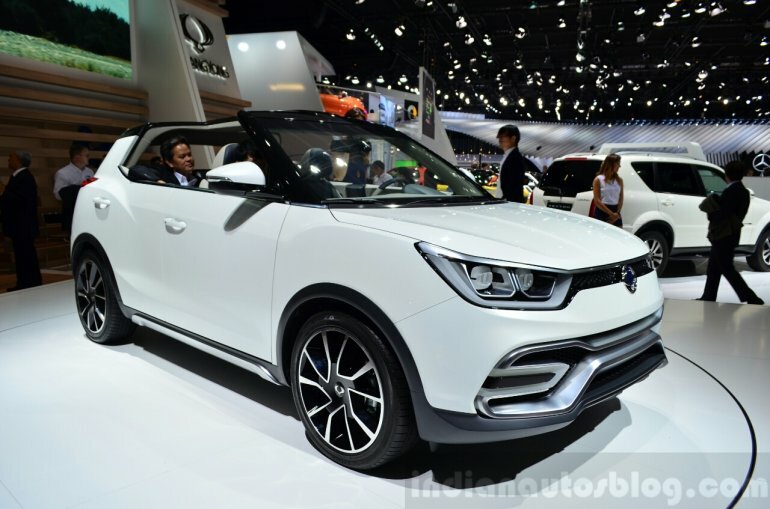 The XIV-Air differs from its sibling by means of larger air-intakes on the front bumper, an exclusive alloy wheel design and more importantly an open roof (hence the name). 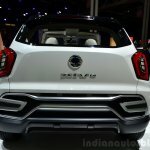 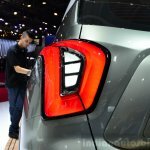 The heavily designed rear bumper complements the one at the front and that's where its exclusivity ends. 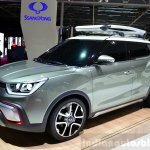 The Ssangyong XIV-Adventure Concept wants to be an off-roader with its rugged looking bumpers and silver side skid plates. 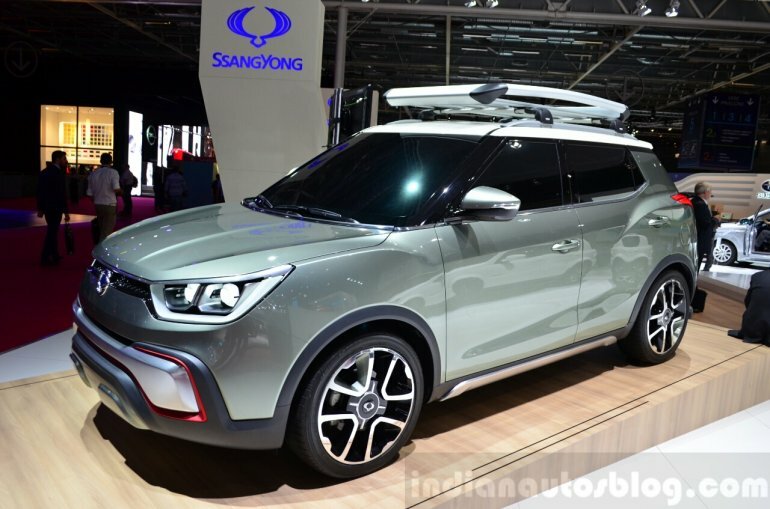 The concept also features a roof rack and what looks like a storage compartment slapped on to the tailgate. Both concepts share their near-production interior design which will inspire the X100. 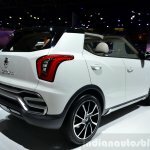 Coming to the powertrain options, a 1.6-litre petrol or diesel engine mated to an automatic transmission pulls the car. 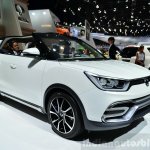 The production-spec Ssangyong X100 will be available in 5- and 7-seater configurations. 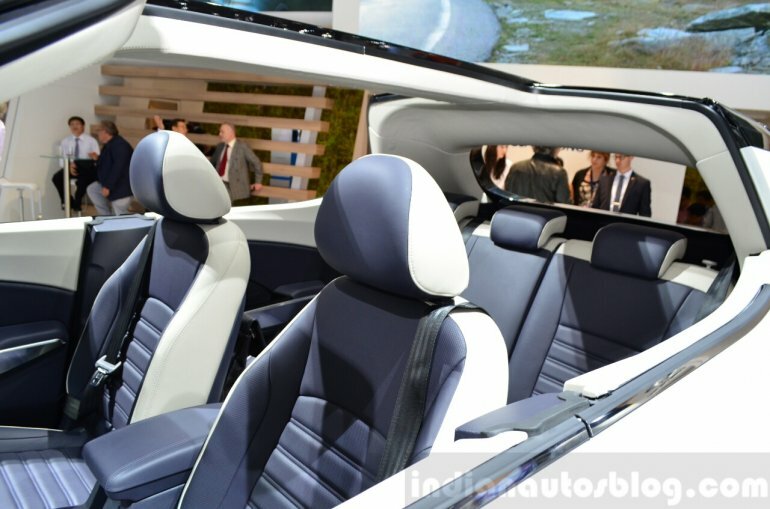 The former is slated to debut early next year while the latter will be ready by the end of 2015.